Yeh Hai Mohabbaten Ruhi becomes Sahil’s next target. Raman wants the union leader to call off the strike. He calls the workers to talk to them and know their demands. Sharma creates a scene in the company. Raman wants to know the matter from the workers. Sharma tells Raman that workers want an increment. He asks Raman to lessen the working hours. He keeps the new conditions. Raman tells him that he won’t be fulfilling the conditions. Sharma tells Raman that he won’t end the strike so soon. The worker leaves a note and tells them that they need help and want to end the strike. Raman suspects that Sharma is working for Sahil now. Sahil is happy to trouble Raman. He wants to target Ruhi first. He plans to divert Raman in the business so that Raman loses focus on Ruhi. 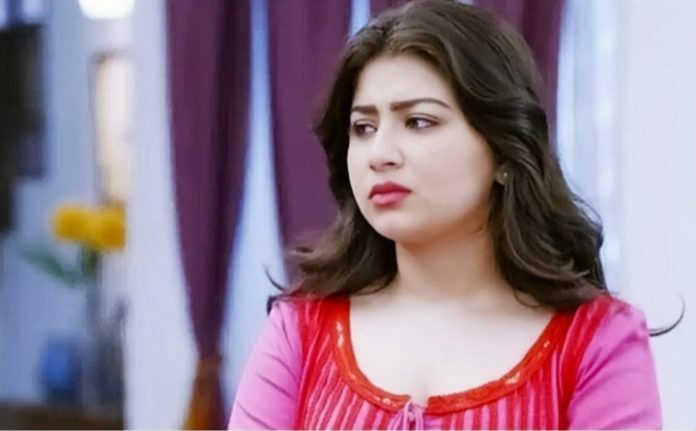 Ruhi falls in Sahil’s trap. She gets teased by some goons, when her car breaks down on the way. Ruhi handles the goons by trying her best. Sahil sends his aide Seema to win Ruhi’s trust by saving her. Ruhi is happy to meet Seema again. Ruhi tells her that she was going to the factory. Ruhi wishes Seema for her marriage. Sahil sends Manish to click their pictures with a plan. He wants to teach a lesson to Bhallas. He is mad in his anger and revenge intentions. Ruhi tells Raman that his plan to end the strike will work. Raman tries to negotiate with Sharma. Seema tells Sahil that Ruhi trusts her and was much delighted. Sahil asks Seema to strike at night and learn the plan in detail. He wants Ruhi to face the pain, so that Raman goes through the suffering. Ruhi and Raman tell the workers that they have fulfilled the conditions and now they want to end the strike. 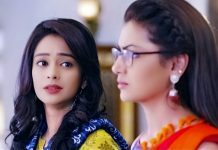 Ruhi teaches a lesson to Sharma. When Sharma speaks against Ruhi, Raman slaps him. Ruhi assures the workers that she will solve their problems. Elsewhere, Yug and Aaliya visit the hospital where they meet Rohan by chance. Rohan gets angered with Aaliya’s deceive. Aaliya isn’t aware with her mental disturbance. Yug covers her problem and tells Rohan that he needed medical help. Rohan gets insulting Yug and Rohan for being so mentally weak and still being happy with each other. Yug doesn’t let Aaliya know anything. He asks Rohan to always support the mental patients. He gets angry on Rohan for his madness to hurt Aaliya. Rohan gets revengeful against them. Raman threatens to kill Sharma. Ruhi tries to stop the fight. The workers are scared of Sharma and don’t end the strike. Ruhi senses that the problems can get worse. Ruhi returns home with Raman. They try to hide about the company issues. Raman doesn’t want the family to worry more. Ruhi tells Seema that she will be meeting her and try to help as much as she can. Sahil tells Seema that she will be rewarded for her work. Ruhi tells the family that she is going to meet her old friend. Karan arrives to Bhalla house to meet Ruhi. Raman gives him a warm welcome. Karan asks Raman about the workers strike. He offers help to Raman. He tells Raman that the work shouldn’t stop in the factory. Raman thinks to take help from Mani as well. Karan gets delighted to meet Ruhi. Karan tells Raman that he will drop Ruhi, since he feels protective about her. Ruhi tells Karan that she would go alone. Karan insists Ruhi to take his help. He thanks her for caring for him. She tells him that she didn’t do anything great for him. Karan wonders if he is really falling in love with her all over again. Sahil plans to ruin Ruhi’s life.